Dr. Keith J. Roberts is currently a Senior Research Fellow at the Institute for International Studies in Education at the University of Pittsburgh. He was previously a Visiting Scholar at Brigham Young University in Provo, Utah (2008-2009) and served as the Vice President for Academics at Brigham Young University (BYU) Hawai’i from January 2000 to April 2008. During that time U.S. News & World Report ranked BYU Hawai’i in the top tier of Comprehensive Bachelors Degree Granting Universities in the Western United States for eight straight years. It had been ranked as high as fourth in three different years. Roberts specializes in using data to make informed policy decisions and was able to improve the graduation rate and the ranking of BYU Hawai’i without increasing the budget. In addition, Consumer Guide ranked BYU Hawai’i as the best value in private higher education in the United States each of the two years that the rankings were awarded during Roberts’ tenure. An expert in university accreditation and strategic planning, Roberts has served as a member and vice chair of several accrediting committees for the Western Association of Schools and Colleges (WASC) and has served on review panels for the WASC Commission. Roberts headed or contributed to college and university accreditations for both WASC and the North Central Association of Colleges and Schools-Higher Learning Commission (NCA-HLC). He has also conducted workshops and presented papers at meetings of both WASC and NCA-HLC. BYU Hawai’i, the most culturally diverse university in America, has a unique relationship with the Polynesian Cultural Center in Laie, Hawai’i and Roberts has been a consultant and adviser on using higher education institutions to support sustainable cultural tourism. During his seventeen years at BYU-Hawai’i he was instrumental in coordinating the educational program with the needs of both the Polynesian Cultural Center and the students from the islands represented at the Center. As examples, he has personally developed the articulation and training agreements with Jinan University Tourism College and the Cultural Parks at Overseas China Town (OCT) in Shenzhen and has advised the development of the Thai Cultural Park Associated with Phranakhan Rajabhat in Bangkok. Under Roberts’s guidance, BYU Hawai’i established unique culturally sensitive articulation programs with universities in China, Mongolia, Thailand, Fiji, Samoa, the Republic of the Marshall Islands, and Tahiti. Prior to his work at BYU-Hawai’i Roberts was Assistant to the President at the Milwaukee Area Technical College where he was responsible for liaison with the governing board and the State. 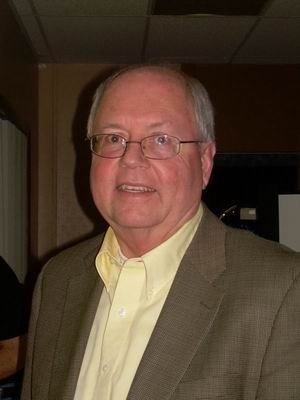 He spent thirty-two years in the Wisconsin Technical College System as a mathematics faculty member, textbook author, institutional researcher, grant writer, administrator, and strategic planner. His most recent academic presentations were delivered at the Chinese Academy of Social Sciences in December of 2005, South China Normal University, Guangzhou in April of 2006, Phranakhan Rajabhat University, Bangkok in July of 2006, State University of Surabaya, Indonesia in November of 2008, the Ministry of Education and Training (MOET) in Danang, Vietnam in September of 2009, Guangxi Normal University and Guilin University of Electronic Technology in November of 2010, Multiple universities in Indonesia in 2013, National Taiwan Normal University in March of 2014, and Can Tho University, Vietnam in April of 2014. Roberts’s current interests are in the development of higher education institutions and systems in emerging nations with a special emphasis on the interaction between and among cultures. He taught the History of Higher Education in the Graduate Program at Marquette University in 2009 and completed a consultancy as Curriculum Development and Academic Review Specialist for the Asia Development Bank (ADB) Technical Assistance (TA) program in the Higher Education Sector in Vietnam, also in 2009. In 2010 he was a Fulbright Senior Specialist assisting Shenzhen Tourism College of Jinan University in China. He returned to Vietnam in 2013 to assist Can Tho University as a Fulbright Senior Specialist. In 2013 Roberts was appointed a Senior Ambassador for the Globalization for the Common Good Initiative located in Oxford, UK.